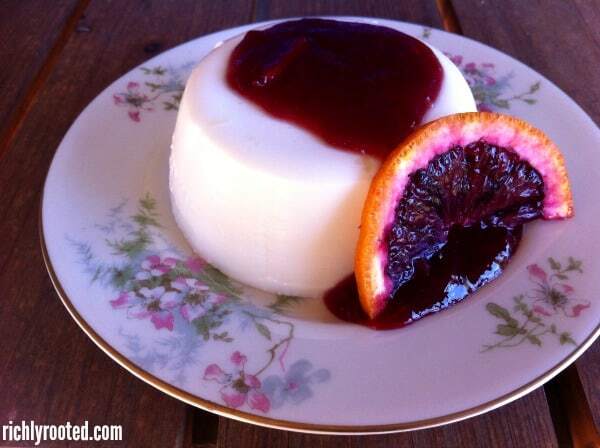 Panna cotta is an impressive dessert–but it’s so easy to make! 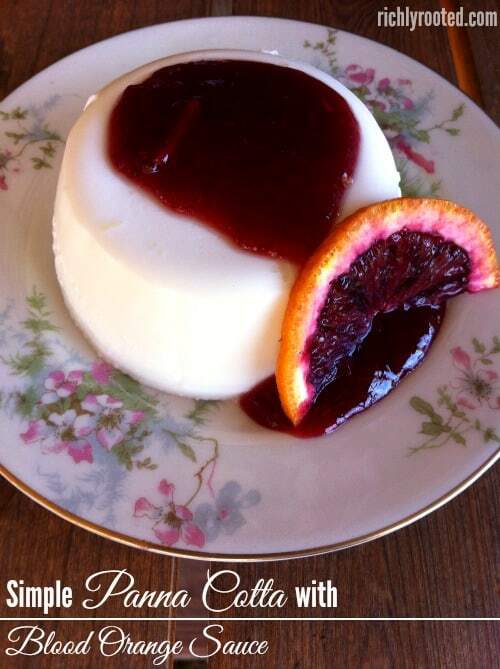 You can even prepare it ahead of time, which makes panna cotta the perfect dessert for company. Try topping it with a blood orange sauce for a showstopping finish to your company meal! For the ultimate in simple, elegant desserts, panna cotta (and its custard cousins) wins hands down. Panna cotta calls for just a few ingredients, and produces the perfect silky-smooth base for all manner of seasonal fruits. In the spring, garnish your panna cotta with strawberries and a sprig of fresh mint. Come summertime, you can serve it with ripe red raspberries or blueberries. And in the fall, a plum sauce is the perfect accompaniment. See what fruits are in season in your region for spring, summer and autumn! 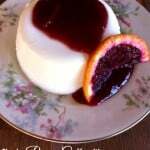 Citrus fruits are in season in the winter, so I decided to try my panna cotta with a simple sauce made from blood oranges. 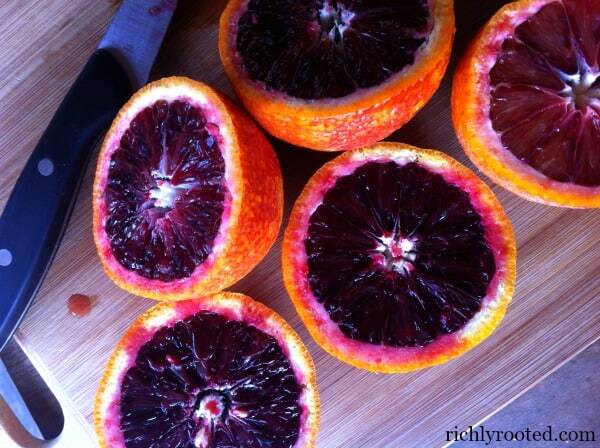 I don’t recall ever trying blood oranges before, and I wanted an excuse to do so. As you can see from the pictures, they really are the colour of blood! The flavour is rich and deep, too, almost berry-like rather than citrus. If you don’t have blood oranges on hand, you can use any other freshly-squeezed fruit juice or mashed berries to make the simple sauce that this recipe calls for. Panna cotta is always a simple, elegant dessert. But with this juicy blood orange sauce, it will be a showstopper, too! In a medium saucepan, mix the milk and cream; sprinkle gelatin on top and let stand 1 minute. Add sugar and stir everything over medium-low heat until the gelatin and sugar are fully dissolved. Divide liquid between 6 ramekins, dessert bowls, or goblets. If you plan to unmold the panna cottas for serving, then first coat the dish with a small amount of butter. Chill the panna cottas in the refrigerator for three hours, or until set. Serve with blood orange sauce. In a small saucepan, stir together the sugar and cornstarch. Stir in orange juice and heat everything to boiling over medium-high heat. Boil for 1-2 minutes, until mixture begins to thicken slightly. Remove from heat and refrigerate until serving time, or serve warm over chilled panna cottas. You can buy gelatin in bulk online. Oh my wow! This looks and sounds amazing! Good thing I just bought some gelatin! 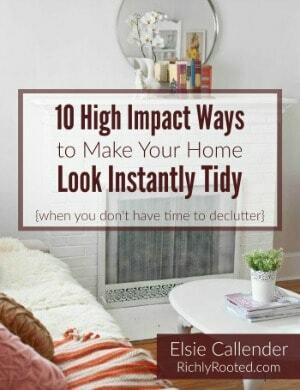 I’ll be trying this asap! What a unique dessert idea! 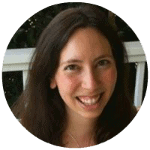 Congrats on your e-book…what timing!?! Praying for your baby and that God gives you an uncomplicated delivery. Thank you so much! I am so grateful that I got this book finished before baby(: Soon, hopefully, I can just focus on the little guy!